Experience a true feeling of presence, with highest quality sound. The beautiful cabinet is meticulously finished with the same techniques used for Yamaha grand pianos. The sound is notable for its rich expressiveness with high resolution sources and new audio formats that utilize large amounts of data. This is the magnificent new Soavo. Bringing you a deeper level of music excitement. 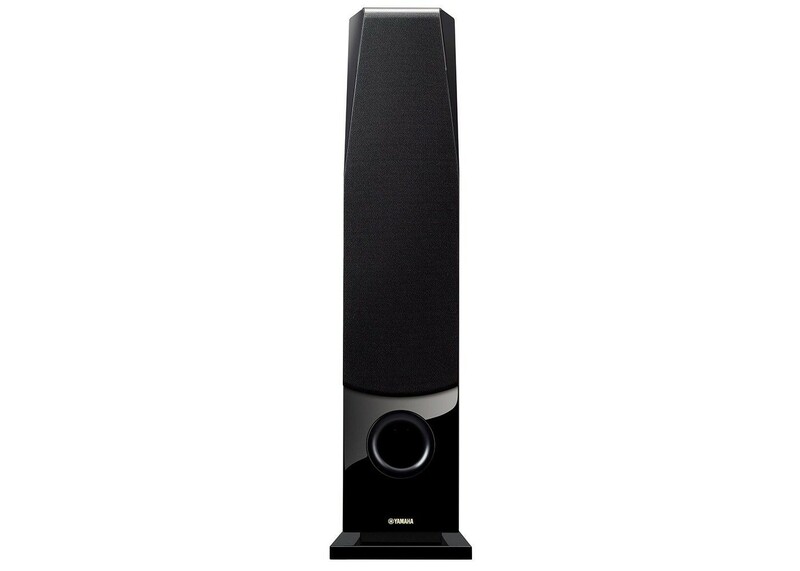 The NS-F901 offers beautifully designed speakers with an elegant piano finish. Capable of achieving transparent sound from data-rich, high resolution sound sources with excellent response, the NS-F901 speaker delivers musical excitement with outstanding expressiveness. Soavo speakers are created by Yamaha based on a long history and rich experience, including over 125 years of making musical instruments and more than half a century of making speakers. In order to reproduce high resolution sound sources with the highest quality, the NS-F901 features new speaker drivers that have undergone extensive sound quality tuning to further refine their expressive capabilities. You can be sure these speakers will deliver all the aural excitement that music and movies have to offer. The NS-F901 adopts Yamaha’s unique new A-PMD (advanced polymer-injected mica diaphragm) with improved cone paper in order to reproduce high resolution sound sources. Taking advantage of the strong points of the A-PMD—extreme lightness, rigidity and stability—the speaker achieves smoothness, very fast response and sound with good dissemination, reproducing information-rich sound sources with an impressive feeling of density. The A-PMD incorporates a powerful magnetic circuit with a large neodymium magnet and a highly stiff aluminum diecast frame that increases the aperture ratio, achieving outstanding power handling and responsiveness in the mid frequency range - the heart of the music. The rubber surround, a spider made by Kurt Müller of Germany and meticulous tuning also contribute to the reproduction of high quality music and movie sound. The 1” dome tweeter is made of aluminum for both hardness and responsiveness and like the midrange unit, uses a neodymium magnet. It delivers sound that links the medium and high ranges with natural smoothness and transparency. Firmly integrating the diaphragm and voice coil and using a thick surround material increases the sound density and resolution in the high range. With a heavy aluminum diecast tweeter plate that minimizes unwanted resonances and an extremely fine mesh grill that provides ideal sound dissemination, it faithfully reproduces dense sound atmospheres and nuances from high resolution sound sources.